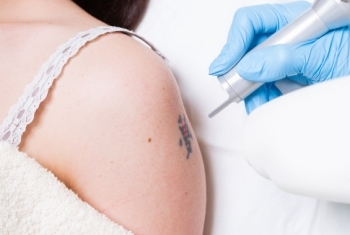 Sign up to be a client for our advanced laser training. 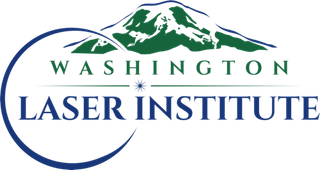 Washington Laser Institute students are licensed estheticians and are always under the direct supervision of our physicians and instructors. This is a perfect opportunity to recieve any laser treatment such as laser hair removal, tattoo removal, skin tightening, cellulite reduction, pigment removal, spider vein treatment, and much much more, all for a fraction of the cost. We are the all encompasing comprehensive laser training center in the region. Never pay for a Groupon again. Our pricing is over 75 % less than even the most reasonable priced medspas. A physician will always be there to make sure you receive top of the line service by our students. We have convenient hours. Simply fill our sign up sheet below and we will be in touch with you. Never pay regular price again! We will make Amazon Local, Groupon and Living Social a thing of the past! Thank you for your interest in our clinical educational program! Our students rely on you to be present for your scheduled appointment. When you do not show up our students are left without a patient. Please be patient and please be prompt! Your treatments will be performed by skilled licensed estheticians under the direct supervision of our physicians as they learn advanced techniques. Since they are learning these advanced techniques, the treatment time and wait time may not be as predictable as in our regularly scheduled retail clinic. If this creates a difficulty for you please let us know in advance and we can schedule another patient for our students. As thanks for being part of Washington Laser Institute you recieve treatments for a fraction of the cost of a retail clinic so enjoy this unique opportunity! We will be collecting a Booking Fee of $50 to hold your appointment. This will be applied to the cost of your treatment. Please complete the form below to take advantage of this special offer. *All pricing discussed after complimentary physician consultation. Everyone here is wonderful and makes me feel at home when I walk through the door. I am confident that I am receiving the best quality care and there is great attention to detail. The students are very professional and the instructors address all of my concerns. I am very happy with my treatments. Fabulous!! LOVE LOVE LOVE this place! I can already see a difference in the body recontouring! Thank you ladies for making us feel so, so much better about ourselves! I am beyond satisfied with the series I received as a client at Washington Laser Institute. The students were very professional and knowledgable. Everyone made me feel comfortable and and confident in allowing them to complete hair removal from my face. As an African American woman we are usually hesitant in receiving laser hair removal due to the many horror stories. Well the results are amazing. When you are in the care of Dr. Sabbagh and her amazing staff you will not think twice about having treatment! I can t wait to return for my other treatments! I always get wonderful results and am always treated like a queen! The ladies are so much fun! Highly recommended! Best pricing anywhere for gold standard treatments!